This long sleeve plain button down is perfect for a casual night out. 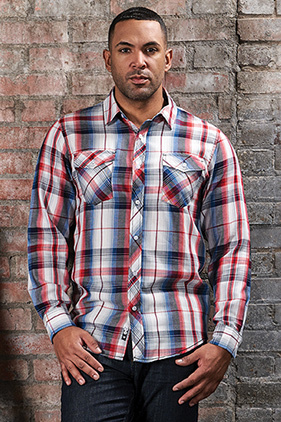 55% cotton/45% polyester, 3 ounce long sleeve plaid shirt. Two chest pockets with button flaps. Two piece back yoke. Pearlized buttons. Adjustable button cuffs. Modern fit.